A woman from Alberta says she was left stranded in Prince Edward Island because Air Canada refused to accept the ID she travelled with just a few days earlier. A woman from Alberta says she was left stranded in Charlottetown because Air Canada refused to accept the ID she travelled with just a few days earlier. The woman from Brooks says she ended up staying in P.E.I. several weeks longer than planned and now wants compensation from the airline. Mary Hazelwood says she flew from Calgary to Charlottetown in March with two pieces of government issued ID, that didn't have photos — her birth certificate and a document from Service Canada. 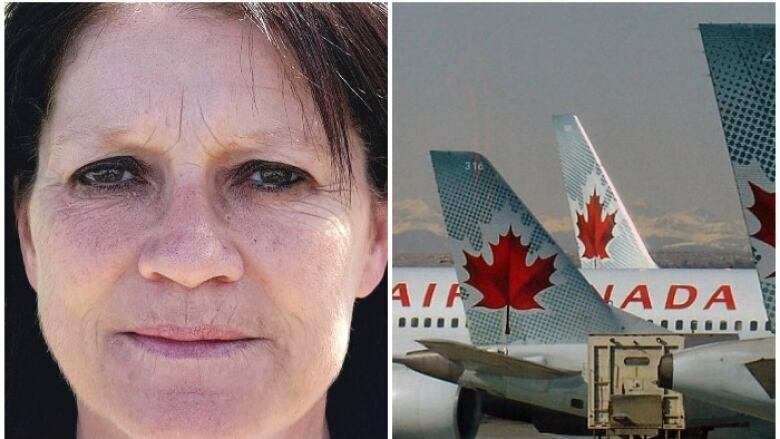 "I called Air Canada to make sure that my documents were OK, and I told them I had two government issued, non-photo pieces of identification, and they assured me I was fine," she said. But when Hazelwood went to purchase her return flight from Air Canada a few days later, she says she was told she would need photo ID. "My mind is still boggled. I still can't believe it, they flew me down with this identification and they wouldn't fly me home," she said. Air Canada officials declined an interview request, but told CBC News the company deals with its customers directly and Hazelwood is welcome to contact their customer relations team with concerns. According to the airline's own website, as well as the Public Safety Canada website, domestic travellers are required to have one piece of photo ID or two pieces of valid, government issued, non-photo ID. Air passenger rights advocate Gabor Lukacs says Hazelwood's ID appears to meet the Canadian regulatory requirements. "The problem here is that Air Canada is making the rules up as they go," he said. "They're not following the law." In the end, Hazlewood says she called WestJet and they advised her to go buy a fishing licence. She did that without showing any form of ID. And says she flew home on WestJet without a hitch. "I just breezed right through," she said.